Each post in this YoParks! series will feature an interview with a National Park ranger or historian. My hope is to spread the word about our amazing National Park system and encourage you to visit a park near you! Today’s YoParks! post features the Appomattox Court House National Historical Park. What is your name and how long have you been a historian for the park? 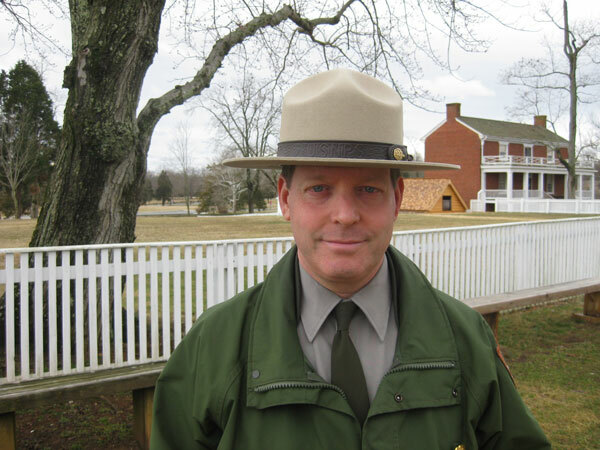 My name is Ernie Price, I’m currently the Chief of Education and Visitor Services here at Appomattox Court House NHP and have been since 2008. I also served as a summer seasonal ranger here at Appomattox from 1987 to 1994. 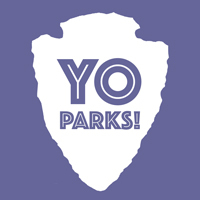 When did your site become a National Park and what role does it play in American History? The area that is now the park was first designated a U.S. War Department Battlefield Site in 1930. In 1935 it was designated a National Historical Monument and was then part of the National Park Service. Its designation was finally changed in 1954 to a National Historical Park, which it remains today. Although there are several “surrender” sites at the end of the Civil War, Appomattox is the only one administered by the NPS and so it is here that the it interprets the end of the Civil War. Interpreting the end of the war is a tremendously heavy topic in American History and it’s also quite relevant to modern American social and political issues. The role of the park is to honor the soldiers that participated in the Appomattox Campaign and the surrender and to interpret the meanings of the surrender of the Army of Northern Virginia. It is also the role of the park to preserve the landscape, artifacts, and documents that played a role in that story and continue to play a role to help us, and future generations to better understand the final campaign and surrender. What is a fun fact about your park? There are so many wonderful and fascinating facts about the last two battles, the actual meeting, the fantasy meeting at the Apple Tree Site, or Hannah Reynolds, the only civilian casualty of the fighting at Appomattox. As for a “fun” fact, I might say Joel Sweeney. Joel Sweeney was born, raised, and is buried on the outskirts of the village. Born in about 1810 and died in 1860, so he wasn’t even in the war. But Joel was a 20th Century Elvis Presley right here in Appomattox. He grew up around enslaved people, some of whom used a gourd instrument called a banjar to entertain themselves. Joel took this instrument, made a round wooden head for it and added a 5th string and the modern banjo was born. He became a traveling minstrel (blackface) and traveled the country with his brothers and cousins basically taking “black” music to white audiences and he was a big hit. He played up and down the east coast from the 1830s through the 1850s, he even played for the Queen of England (in England). He foreshadowed a kind of cultural fusion between black and white cultures even before the surrender that would catapult the nation toward the Civil Rights Movement and beyond. When planning a trip to visit how much time should someone allow? Are there any special events coming up at your park? That’s always difficult to say and certainly depends on the level of interest of the visitor, but generically I would plan for about 2 hours. That’s based on the idea that you see the 15 min. film, spend 20-30 minutes in the museum, take in a 30-minute program by one of the rangers or 1st person living history programs. I would also allow time, perhaps 30 minutes or so, to walk around and explore the village, including the McLean House where the surrender occurred. There is also a bookstore that some may chose to visit. For those with a more intense interest in military history, I would add another hour or two to visit some spots outside the core village. Why should someone visit your National Park site? With the possible exception to July 4, 1776, April 9, 1865 may be the most important date in American History. The nation we live in today is more a product of what happened at Appomattox on that day than any other single event in history. It’s obvious to us today that our nation would survive a civil war in tact and without the perpetuation of slavery, but that was not a forgone conclusion, even on April 8, 1865. The events on April 9, not just that Lee surrendered, but how, not just that Grant’s forces were victorious, but how, answered those big questions: would we survive in tact, and would it be without slavery? The answer at Appomattox for both was Yes. What is a little known fact or tip about your park that someone cannot find online? Well there is quite a bit on line, not just on the park’s website, but social media, etc. But I would mention a bit of a political celebrity in the little village. I already mentioned Joel Sweeney’s contribution to American music, but there’s a house right in the village that we refer to as the Isbell House because that what is was known as in 1865. But before the war, the man that built that house was Thomas Bocock. 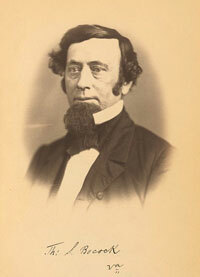 Not a household name for many today, but Thomas Bocock was the only Speaker of the House for the Confederate Congress and he happened to be from little ole Appomattox. What is the most common question you get asked?By far the most common question is something to the effect of, “didn’t the surrender take place in the courthouse?” The park’s visitor center is currently housed in the courthouse building and we often hear that question while standing in the courthouse building. The answer is confusing. 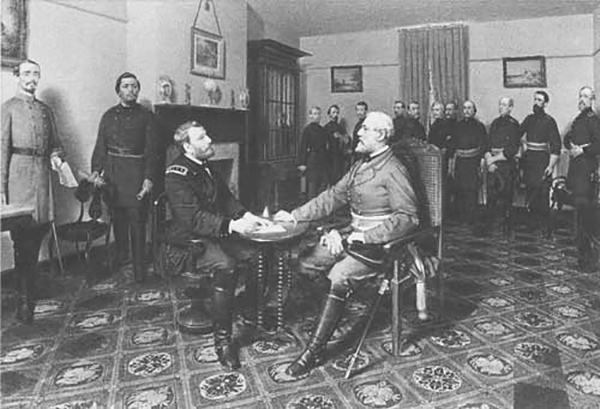 The surrender did not take place in the courthouse, but rather in the Court House. Courthouse one word is a building, Court House two words is a village, as in Appomattox Court House, a village that contains the county seat of Appomattox. 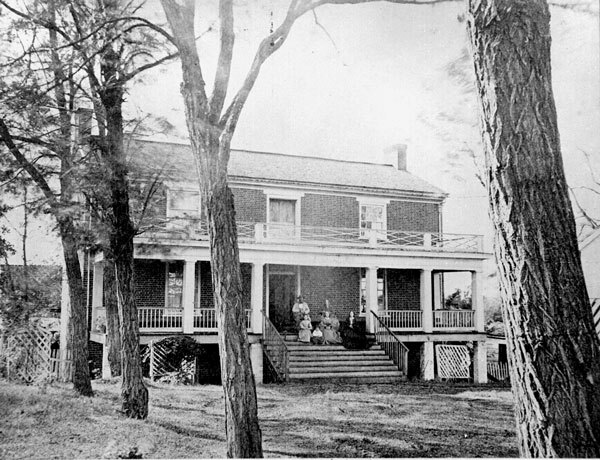 The surrender meeting was in the McLean House, a home in the village of Appomattox Court House. I heard there was still fighting after the surrender.Why was that? Well, we wouldn’t say there were any large ‘battles’ after Appomattox, but there certainly was fighting and men killed. And if you were one of those men killed, then I suppose it doesn’t matter how big the fight was. But the reason is that Lee surrendered the Army of Northern Virginia to Grant, and that’s it. Though the ANV was the trophy army of the Confederacy and it would become to ‘represent’ the end of the war, it wasn’t technically. There were three other departments that would surrender after Appomattox plus some independent commands and ships at sea. However, it was well understood by most at the time that when Lee surrendered, any realistic hopes of Confederate victory vanished. 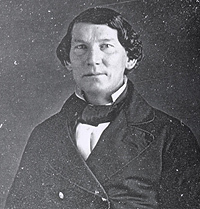 Confederate Joe Johnston would surrender to Gen. Sherman on April 26 near Durham Station, NC. This would be the largest surrender, including all Confederate soldiers in NC, SC, Ga., and Fla. The Dept. of Miss., Ala., and East La. would be surrendered on May 4 in Ala. near Mobile, and the final departmental surrender, the Trans-Mississippi Dept. would be surrendered on June 2, at Galveston, Tx. Now for the travel planning nitty gritty: Do you have restrooms at the visitor’s center? Are there food options? Is there a fee to enter your park? Is there a gift shop? Yes, there are restrooms in the Visitor Center, and there is a gift shop located in the historic village, but there are no food options in the park. The modern town of Appomattox is only 3 miles away and offers and assortment of local and chain restaurants. There is only a fee to enter the park, no more fees once you’re inside. The fee is $10 per vehicle, $5 per motorcycle. The park does accept the America the Beautiful passes (like other national parks) such as the Senior Citizen, Access, Annual, or Military Passes that can be issued at the park. Visit the Appomattox Court House National Historical Park! 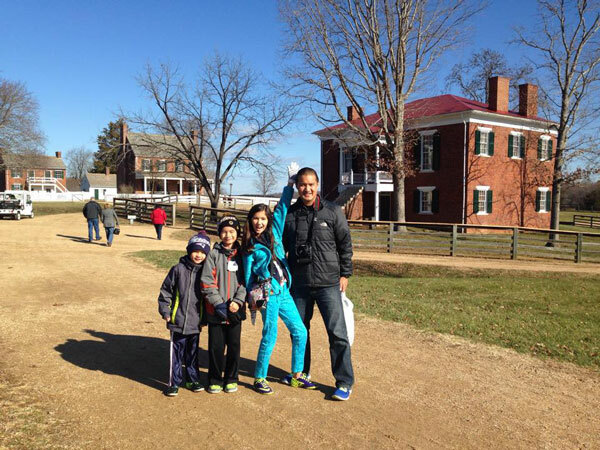 The Appomattox Court House National Historical Park is a great place to visit! My family and I visited on a cold November morning on our drive up to visit Monticello. There is a lot to see there and the grounds are gorgeous! 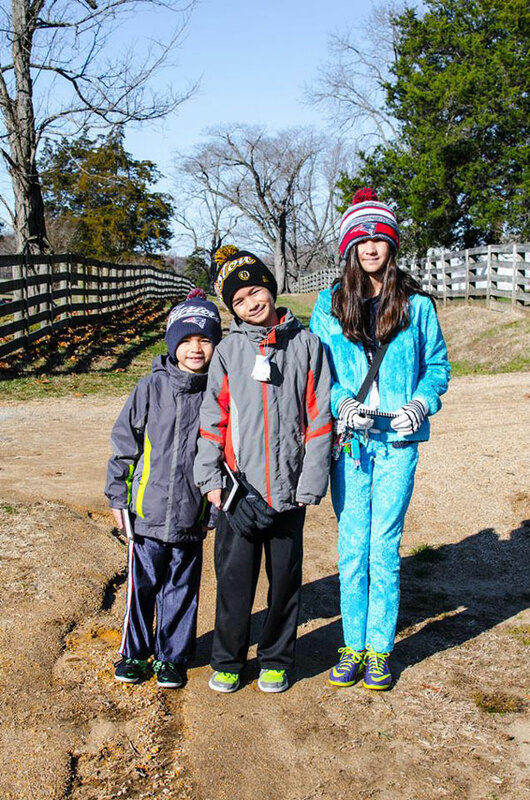 Plan your trip to the Appomattox Court House National Historical Park! Directions to the Appomattox Court House National Historical Park! Have you visited the Appomattox Court House National Historical Park? Tell me about your experiences in the comments! Have a question about this park? Fire away in the comments and I will try to get it answered for you! ⟵Learn About Wright Brothers National Memorial :: YoParks!